The final season of the Walking Dead at times recreates the magic of the first season. Sometimes that’s through very obvious references, at other times due to the storytelling and action, which is the best it has been in some time. But, whilst this is a fitting end to Telltale as a studio, it’s not the superlative, groundbreaking achievement I perhaps dreamed this could be. Skybound or crashing to earth? 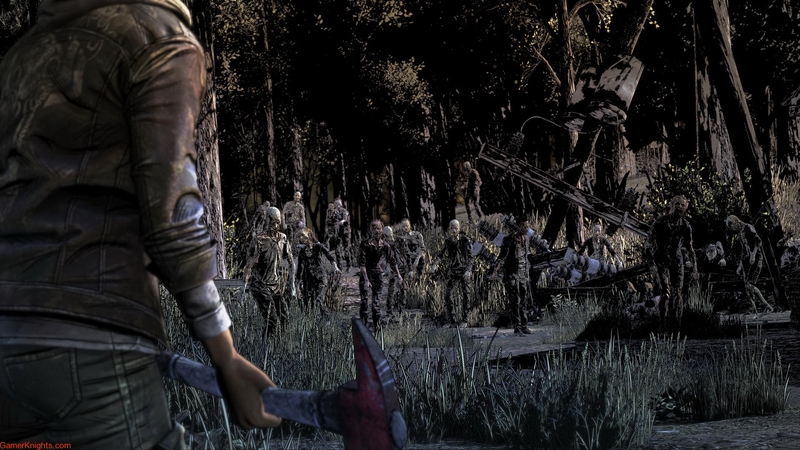 The first season of The Walking Dead was my Game of the Year when it came out, and I was hardly alone. It’s one of the few games which has made me cry, and the storytelling really moved games in general forwards. It’s hard not to think about the way it changed the industry. But with the studio sadly shutting down mid-way through development, have the team at Skybound games been able to recover the magic? Not all changes are positive though – there’s an increased focus on both action, and exploration of the larger areas, which means that sometimes, the normally excellent narrative takes a fairly lengthy back-seat. There can be sections of fairly aimless wandering and interaction (one of the reasons why I liked these games in the first place was the lack of this pointless busytime) interspersed with more combat and QTEs. It makes the pacing somewhat awkward and inconsistent. 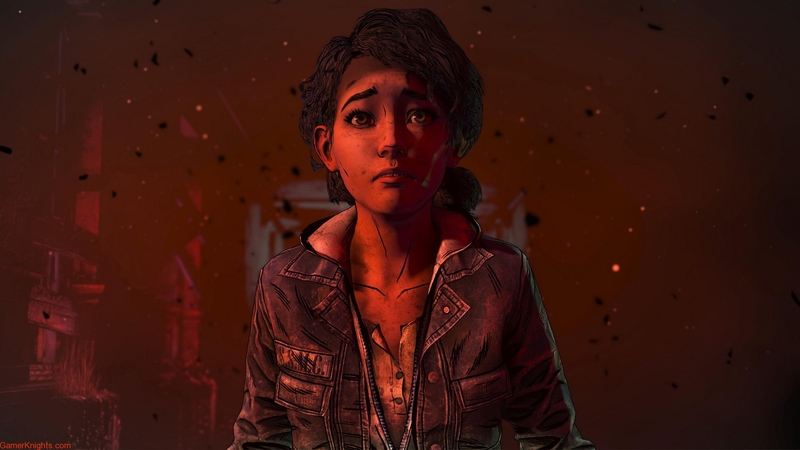 At the end of the day though, this is a game all about finishing the story arc of Clementine, even if much of the actual content focuses on how you choose to educate and bring up AJ, and whether you trust this small child to be able to make the tough decisions in life. I’m not going to spoil anything, but ultimately the ending is not going to please everyone. I personally think it sticks to the middle ground too much, and should have either been darker & bleaker or just more saccharine. These gameplay changes perhaps mark where Telltale as a studio were trying to wrest their games over time. The Batman games had perhaps given a glimpse of a more interactive, immersive experience (although I have to say I quite liked the idea of a purely story-driven game), and it’s fair to say you have to stay far more involved here. QTEs are more frequent, and so are combat sequences. Don’t expect fast, paced, Call of Duty style action though – they are still fairly basic arenas and scripted sequences. At times, the combat felt almost more like a puzzle game. For an adventure game though, these sections can seem unnecessarily hard – they rely on pretty sharp reflexes. Death is more frustrating than previous installments – checkpoints are even more sparsely placed. For those wondering about achievements/ trophies, it’s also worth noting that the first and last episodes will require you to duplicate saves to see all of the content. A core criticism of previous games has been the fact that the previous games have been pretty poor graphically, and this couldn’t even be disguised by the distinctive comic-style art. This was particularly an issue with animation, which was hardly ideal with such exceptional characterization. 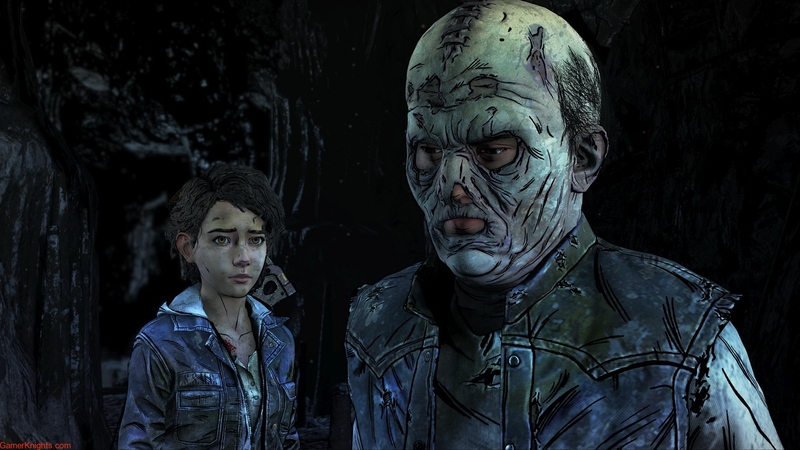 The final season isn’t exactly reference quality, but there is a significant, meaningful visual upgrade that works very, very well. Characters rely less on broad-brush, cartoony expressions to put their feelings across, and allows for far more nuance. The environments also feel far larger and more detailed, and the game throws large numbers of walkers at you, making for tenser encounters and less stilted combat. Obviously, the aural presentation is exceptional, with a great cast of characters and some appropriate music playing along in the background. The Final Season then. 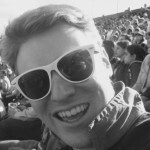 Brutal decisions, emotional farewells, references to friends long gone. I’m sad to see the series finish, even if it probably was the right time. I probably didn’t want a happy ending, but there’s enough missing questions to leave me slightly dissatisfied by the final act. More chillingly, the game has also become an interesting insight and museum piece, seeing Telltale’s engine upgrades and some enhanced gameplay mechanics and where the studio could have maybe taken this type of game. Regardless of the historic interest in this game, I feel like previous players should feel compelled to finish the story. There’s more than enough of what you’ve loved about these games (if you got this far) to whole-heartedly recommend this. If you’re sat reading this review, never having played the previous seasons, then I really think you need to go back or at least watch a summary to get the emotional attachment to the characters that’s essential to full enjoyment of the game.